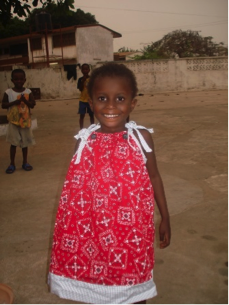 Join us to make pillowcase dresses to help little girls in African countries know that they are loved and have worth in the eyes of Jesus! We will be making dresses and assembling kits to be taken home and sewn. Tasks available for sewers and non-sewers. Seeking donations of new or gently used pillowcases with pretty colors that would make a nice dress and double wide bias tape. Are you a Thrivent member? Use your Action Team Grant of $250 to purchase supplies for this event! Supply donation drop off and event sign up located at the Registration Desk. Contact Ilene McCluskey 952-944-6471 with questions.